Edward Misleh is a lawyer located in Sacramento, California. He has his own practice known as The Law Offices of Edward Misleh, APC. Mr. Misleh’s practice focuses on family law and personal injury matters. In his endeavor to serve the public in general by offering a free consultation to all new or potential clients. The consultation is free and there is absolutely no charge should you wish to discuss your legal matter with a licensed California attorney. Family law: Obtaining or terminating guardianship, adoption, and juvenile proceedings. Military Divorce: Determining residency requirements, dividing military retired pay, thrift savings benefits, and addressing Tricare. Child Custody: Establishing or modifying sole custody, joint custody, legal custody, physical custody, parenting time and visitation. Child Support: Establishing, modifying, and terminating guideline child support. Spousal Support: Establishing, modifying, and terminating both temporary and permanent spousal support. Estate Planning: Drafting a will or trust instrument, probate, prenuptial and postnuptial agreements, and power of attorney. Personal Injury: Negotiating and filing lawsuits for bodily damages resulting from a car accident or a slip and fall injury. When your matter requires significant legal involvement, it often makes sense to hire an attorney. But hiring a lawyer is not necessary for all legal matters, which is why you should first take advantage of the free consultation offered by Sacramento Attorney Edward Misleh. Additionally, located on our website are many court forms, with instructions, which you can download should you want to pursue your matter on your own. Sacramento attorney Edward Misleh’s office is located at 615 Tenth Street, Sacramento, California. The office represents clients who live or work in Sacramento, California, Northern California, and throughout the United States. 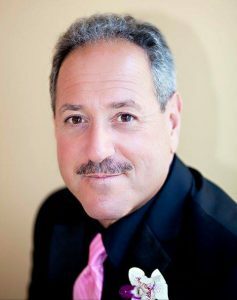 Mr. Misleh has extensive experience in the areas of family law and personal injury. California Family law is an area of the law that deals with family matters and domestic relations. The most often issue being the filing for divorce. Other issues you may encounter in your family law matter are: child custody, child support, spousal support, division of community property, guardianship, adoption, and probate matters. In California, couples can enter into prenuptial agreements (prenups) and postnuptial agreements (postnups). You enter into a prenuptial agreement before marriage and a postnuptial agreement during marriage. These agreements are contracts that characterize the assets you own and possible payments of support. Both agreements require specific language and “disclaimers” to be enforceable. In either document you can characterize community property and separate property. Palimony is the support payments made to an unmarried partners following a breakup. Palimony payments have been permitted in California ever since a 1976 Supreme Court decision. Requests for support based on premarital cohabitation are civil actions and not family law matters. You start your divorce by filing a petition stating certain facts about your marriage. Your divorce petition includes information about the date of marriage, date of separation, the number of years married, the number of children you have, and the age and birth date of each child. Your divorce petition can address any or all of five areas: child custody, child support, spousal support (alimony), community property, separate property, and attorney’s fees. Child custody is the legal relationship that you and the other parent have with your children. You establish this legal relationship with a court order. Child Support is the financial support parents owe to their children; the amount of money that a court orders a parent to pay for the support of their child. You and the other parent are each parent is equally responsible for providing for the financial needs of their child. You, the other parent or the State of California can request child support. Spousal support, also known as alimony in other states, is a legal obligation for one spouse to provide financial support to the other spouse during separation and after divorce. You can agree to spousal support or seek a court order. You receive spousal support to help you attain the marital standard of living. The property you and your spouse own is marital property. Marital property includes all of the assets and debts owned by you and your spouse; either jointly or separately. Your marital property is characterized and divided during a divorce proceeding. Your claims for reimbursements and credits must be considered when dividing marital property. Contact Sacramento Attorney Edward Misleh to discuss establishing and dividing your marital property. During your divorce, you can agree on a division of the marital property. A court will order an equitable division if you and your spouse do not agree on a division. Determining and dividing marital property can have a significant effect on your current lifestyle and future retirement. Take time to carefully determine the value of all marital property and your interests. Contact Sacramento attorney Edward Misleh for more information about dividing marital property. Domestic violence occurs when an abuser perpetrates an act of violence on a victim. The abuser and victim must be in a close relationship. Domestic violence can happen to anyone; men and women alike. If you, or someone you know, has being a victim of domestic violence, you should contact law enforcement for help and seek medical attention for any injury. Contact Sacramento Attorney Edward Misleh to file a domestic violence action or for domestic violence defense. Acts of domestic violence is either a specific act of abuse or a pattern of abusive behavior. Domestic violence occurs when an abuser perpetrates an act of violence on a victim in a domestic setting, such as in marriage or cohabitation. An argument can become very emotional and possibly result in physical harm, resulting in domestic violence. And when it does, the argument often ends with someone contacting law enforcement to make a report. Abuse occurs when an abuser either: Intentionally or recklessly caused or attempted to cause bodily injury or sexual assault; Places a person in reasonable apprehension of imminent serious bodily injury to that person or to another; or, Engages in any behavior involving, but not limited to, threatening, striking, harassing, destroying personal property, or disturbing the peace of another. A Domestic Violence Restraining Order is a court order that protects a victim from an abuser who perpetrates domestic violence; physical or sexual abuse, threats, stalking, and harassment. The person requesting a restraining order is the “protected person” or “victim.” The person the restraining order is against is the “restrained person” or “abuser.” These orders can include requests to protect others, protect pets, and to have the abuser move-out of the residence. Contact Sacramento attorney Edward Misleh to discuss filing for a domestic violence restraining order or for defense in a domestic violence case. A civil harassment restraining order is an order to protect you from someone with whom you do not share a domestic relationship. If you do not qualify for a domestic violence restraining order, you can file for a civil harassment restraining order. You need a restraining order if you need protection from neighbors, roommates, coworkers, or more distant family members. Contact Sacramento attorney Edward Misleh to discuss filing for a civil harassment restraining order. A civil harassment order is your request to restrain someone with whom you do not have a close relationship. The abuse you allege in your request can include: intentionally or recklessly caused or attempted to cause bodily injury or sexual assault; placing a person in reasonable apprehension of imminent serious bodily injury to that person or to another; or, engaging in any behavior involving, but not limited to, threatening, striking, harassing, destroying personal property, or disturbing the peace of another. Contact Sacramento attorney Edward Misleh to discuss filing for a civil harassment restraining order. Individuals often hire family law attorneys to apply for guardianship. A court grants a guardianship when it finds the need for one individual to care for another individual’s well-being or property. The ward is the individual in your care. Guardianship is the legal relationship you have with the ward. Once done, the guardian will have the authority, and corresponding duty, to care for a person and their property interests. Contact Sacramento Attorney about filing for and/or obtaining a guardianship. Contact Sacramento attorney Edward Misleh to discuss filing for guardianship. You can seek appointment as a guardian if you are not the child’s parent. You agree to care for and tend to the child’s needs or property interest. Contact Sacramento attorney Edward Misleh to discuss filing for guardianship. A guardian ad litem (GAL), also referred to as Court Appointed Special Advocate (CASA), is an individual who acts as the child’s voice in court. Once appointed, the guardian ad litem may represent the child in a court proceeding. Judges often adhere to any recommendations given by the child’s representative. Contact Sacramento attorney Edward Misleh to discuss filing for guardianship. An award of guardianship will affect child custody – the rights of a parent to raise and control their child. A guardianship limits parental rights. The guardian has the right to make decisions regarding the child’s care. The parents have the right for reasonable contact with the child. Contact Sacramento attorney Edward Misleh to discuss filing for guardianship. Grandparents have a right to reasonable visitation with their grandchildren. The legal right that grandparents have to see and interact with their grandchildren will most likely require the assistance of a family law attorney. Should a grandparent be denied contact with their grandchild, they will have to obtain a court order granting them the right to visitation. Contact Sacramento attorney Edward Misleh to discuss filing for grandparent visitation. Attorneys practicing family law can be very helpful to those who wish to assume the parenting role of another, usually a child, from that person’s biological or legal parent(s). Adoption not only creates a new legal relationship but also severs a prior legal relationship. When you adopt a child, the court terminates the parental rights of the child’s parents. The legal relationship you have with the adoptive child is permanent. Your adopted child inherits from you just as a natural-born child would. Contact Sacramento attorney Edward Misleh to discuss filing for adoption of a child. Estate planning is the process to anticipating and arranging for the management and disposal of a person’s estate during their lifetime and after death. You undertake estate planning to maximizing the value of the estate by reducing taxes and other expenses. Estate planning includes planning for incapacity as well as a process of reducing or eliminating uncertainties over the administration of a probate. California Estate planning begins for those who want to create a will or trust to transfer their property to beneficiaries after death. Estate planning can help to minimize tax consequences on your personal estate and to make it much easier for your beneficiaries to receive property from your estate. Contact Sacramento attorney Edward Misleh to discuss the planning of your estate. We can create a Will or a Trust to aid in the administration of your estate; to protect your property; to avoid probate; and, to ensure that your loved-ones receive their interests in your estate. Our areas of service include: estate planning, intestate distribution, will contestation, beneficiary rights, living trusts, revocable trusts, irrevocable trusts, special needs trusts, powers of attorney, and advance health care directive. Contact Sacramento attorney Edward Misleh to discuss drafting you a will and/or a trust. Probate is a judicial process approving the terms of a will. The court accepts the will as a valid public document of the deceased true last testament. The granting of probate is the first step in the legal process of administering the estate of a deceased person, resolving all claims and distributing the deceased person’s property under a will. A probate court decides the legal validity of a testator’s (deceased person’s) will and grants its approval, also known as granting probate, to the executor. A probate also officially appoints the executor (or personal representative), generally named in the will, as having legal power to dispose of the testator’s assets in the manner specified in the testator’s will. Contact Sacramento attorney Edward Misleh to discuss filing for probate. Personal injury is any injury to the body, mind or emotions, as opposed to an injury to property. The term personal injury refers to a type of lawsuit for bodily or emotional harm. You, as a plaintiff, file a lawsuit against another person or entity, the defendant, for the harm they caused. Causes of actions can include negligence, gross negligence, reckless conduct, or intentional misconduct, and strict liability. Sacramento Attorney Edward Misleh handles all types of personal injury cases. In California, a “wrongful death claim” arises when one person dies as the result of the wrongful act or negligence of another person or entity. A wrongful death claim is a civil lawsuit. You can file a wrongful death action if you are a survivor of the deceased person or by the personal representative of the deceased person’s estate. Contact Sacramento Attorney Edward Misleh for more information on wrongful death. Immediately seek medical attention if you injuries are severe. Even if you are not feeling any immediate effect, see a medical professional to evaluate your condition. You may not realize that you have internal injuries, are in shock, or have some other form of trauma from the accident. If your injuries are minor, take a little time to photograph the scene and to gather witnesses contact information. You must have evidence to support your claim for injuries and property damage. To limit any recovery, you must also prove that you were not at fault for causing the accident. The most compelling evidence are statements from witness who saw the accident and are willing to testify about what they saw happen. Witness statements can prove who was responsible for the accident and the severity of any injury. Notify the police when you are in a car accident. By doing so, you will be able to prove fault and prevent the other party from claiming hit-and-run accident and that you left the scene. You need to create a record that is as near in time to the actual incident as possible. If you have exchanged information with the other driver, be sure to notify both your insurance carriers about the accident. Otherwise, be sure to notify your insurance carrier.